The Knoxville Civil War Roundtable is a organization dedicated to remembering and studying the Civil War in East Tennessee. Find out how to join the KCWRT on our membership page. Meetings of the KCWRT are held at the Bearden Banquet Hall (5806 Kingston Pike). A dinner buffet is served at 6:30 p.m. Cost is $17 for members and $20 for nonmembers. Reservations must be made or cancelled not later than 11:00 am on the day before the meeting. Call (865) 671-9001 to make or cancel reservations. Roundtable business is conducted at approximately 7:15 p.m.
A guest speaker, normally an author, educator, or historian of national prominence in his or her field, speaks for approximately one hour, on some aspect of the American Civil War. Additional information about this month's speaker can be found in the current issue of The Scout's Report. This address is followed by a brief question and discussion period. Cost (for those not dining) is $5 for members and $8 for nonmembers. Protect your pate with this fashionable and utilitarian cap. 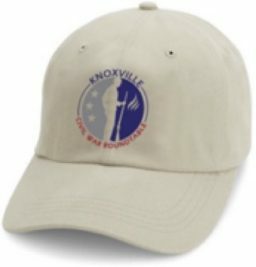 Made of cotton twill, it is durable, yet comfortable, and displays the Knoxville Civil War Roundtable logo prominently in front. Our caps are proudly worn by Ed Bearrs and they are an excellent accessory for your civil war history adventures. Priced at only $15.00, you too could look like a national treasure! 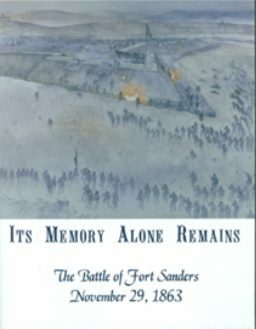 The Battle of Fort Sanders took place on what is now known as Fort Sanders Hill near downtown Knoxville. Nothing remains of the original fortifications however this short film provides excellent information about the fortifications and the battle. The fortifications were designed by Orlando Poe who encircled the fort with a deep trench which was not visible upon approach to the walls of the fort. Poe also had interwoven telegraph wire among the tree stumps surrounding the fort which presented a nearly impassable barrier, and utilized brush from the cut trees as additional camouflage. The resulting battle was brutal, resulting in large casualties. Produced by Steve Dean, this documentary was filmed on a full-scale reproduction of the bastion with the dimensions of the earthwork and ditch taken from Orlando Poe’s description. The title of this film was taken from an 1890’s Blue and Gray Reunion Medal. Available for purchase at $15.00. 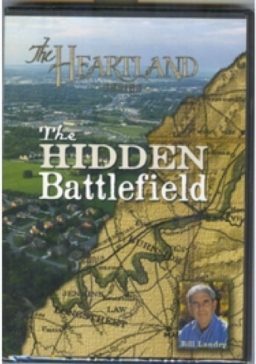 From the renowned Heartland Series, “The Hidden Battlefield” retells the history of the battle of Campbell Station. On November 16, 1863, nearly 20,000 soldiers fought on two fronts, with hundreds of deaths. Unfortunately little remains at this location to commemorate the 6-hour battle for possession of the crossroads at Campbell Station that resulted in two Medals of Honor being awarded. The illustrious and knowledgeable Gerald Augustus is featured in this presentation. All items are available for purchase at our monthly meetings or by mail to PO Box with check to KCWRT for amount of purchase. add $5 for postage and handling and email to zachsam@yahoo.com with order.